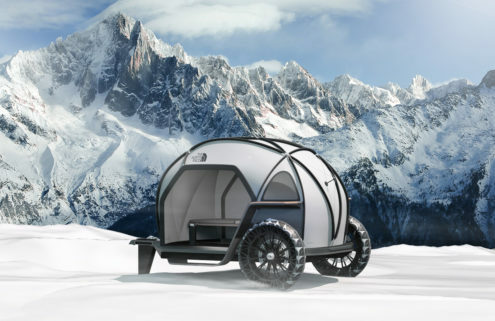 The Polydrop trailer is a stripped back take on the classic camper, with Delorean-style doors and a faceted aluminium shell. 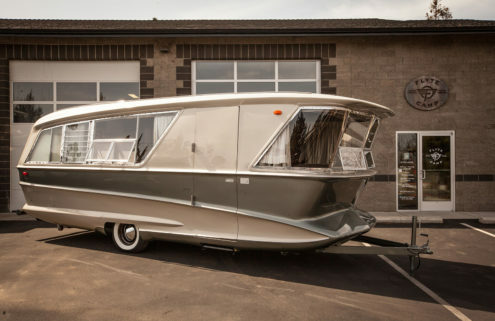 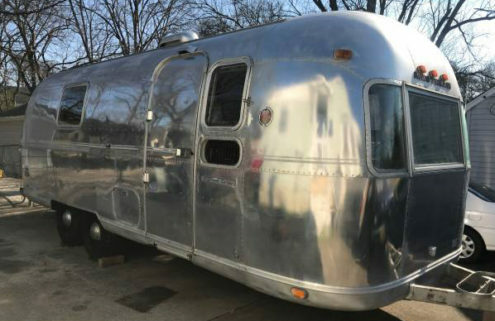 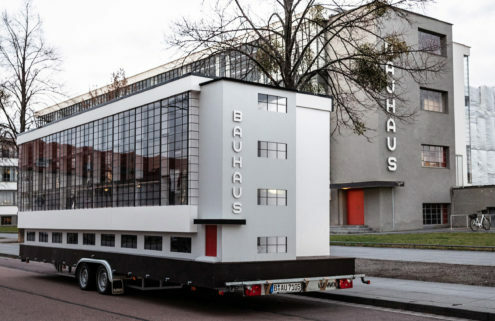 It’s just 12.4-ft long but there’s enough room inside the trailer to sleep two, and it opens up to unveil a kitchen counter at the back. 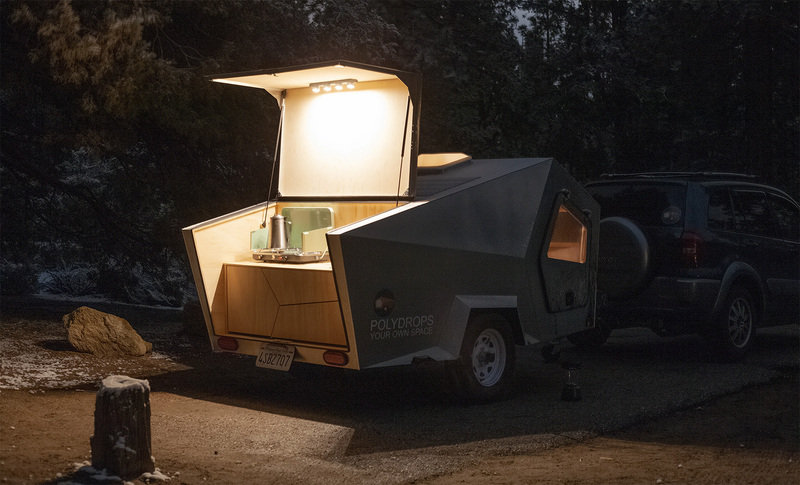 Designer Kyung-Hyun Lew created the first prototype for the Polydrop trailer while still an architecture student, using it as a portable study space while we travelled around the US. 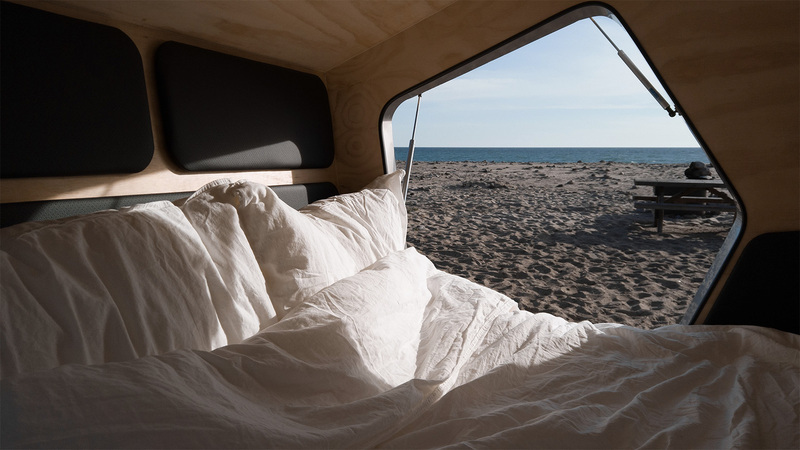 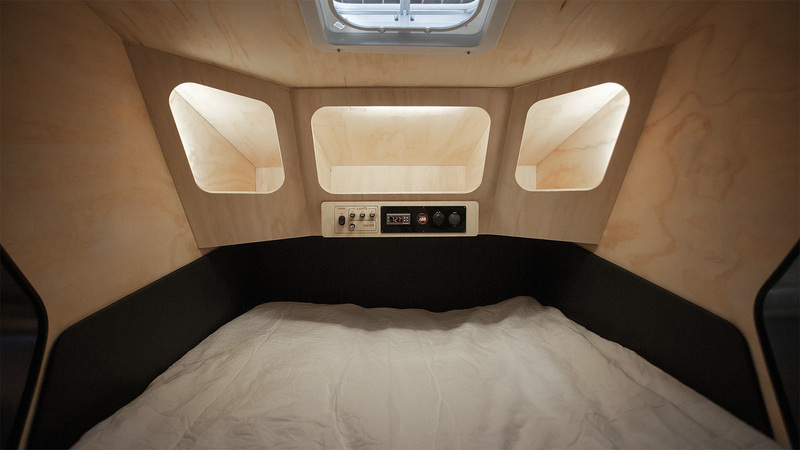 He’s refined the concept since then, and the minimalist camper now has pine walls, LED lighting and leather details, as well as a solar panel. 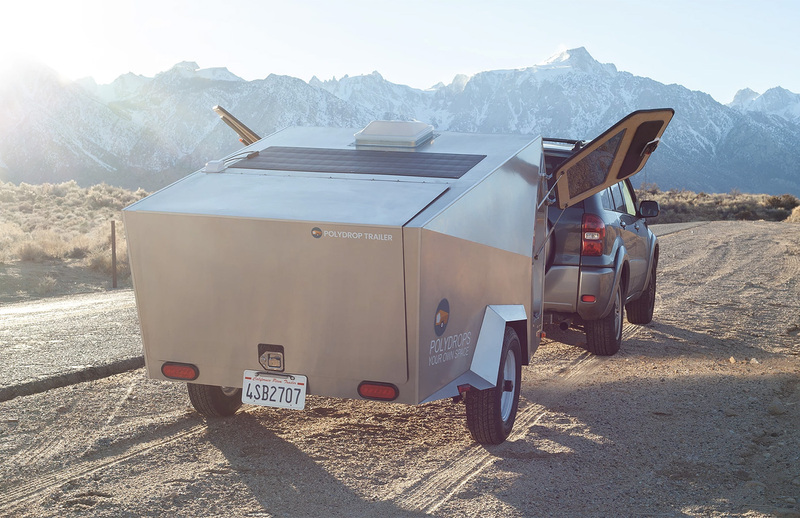 The first 20 editions of the Polydrop have a $9,000 price tag, but enthusiastic buyers should snap them up – after that, they’ll jump to $13,000.